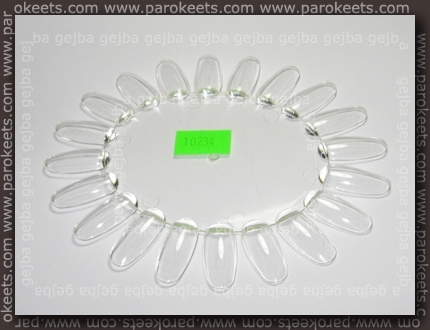 It took me quite some time to fink nail wheel with transparent “nails”. White plastic gives me the wrong impression about polish opacity so it really had to be transparent one. I finally found one in Trans Design store. 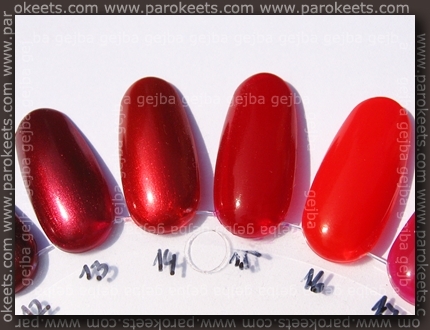 Right after I got the ovals, I received a lot of polishes from BIH (thank you Gaga ). Of course I had to test it right away. Only no. 19 has three layers, with others I used 2. And the last photo of oval A.
I love the idea, so number of ovals in my collection will be rising. Did you find any similar product in other Internet stores? How did you like them? Super. Moram pogledati na Avonova stran kakšni so pogoji nakupa. Ja palčke so iz prozorne plastike. On the nail wheel? No. I applied polish directly onto the plastic. :cool:That’s a good idea to have those nail wheels. Do you have every polish you own on the wheels? I guess it would be an easier way of finding a shade you want to wear. Clear is a good idea and thanks for letting us know where to get them. I love all the shades of polish. They look like a nice Fall palette of shades. I’m still working on that project. 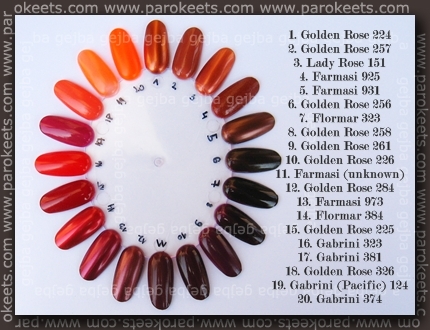 I hope I’ll finish it soon, since it’s so much easier to choose polish if you have all of them on nail wheels. Vprašanje je samo kakšna je kvaliteta plastike. Izgledajo zanimivo. i have the same wheels to showcase/organize my polish collection. i also got them from transdesign. 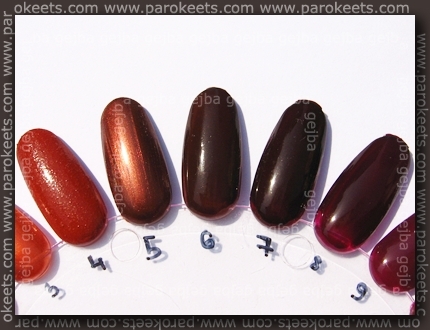 i like them for the number of “nails” and the transparency to really get the true color/finish payoff with my polishes. however, i do find the oval shape of both the wheel itself and the “nails” to be awkward. oh well, i got ten of them so until i go thru them (i’ve got two and a half left!) i’ll be forced to look for another choice. Poštnina je bila 16$ za mislim, da tri ovale in 4 ali 5 lakov.